Trinseo is a global materials solutions provider specializing in medical grade resins to meet the needs of medical manufacturers and molders for Single- and Multiple-use Devices, Drug Delivery Systems, Equipment Housings, and Medical Wearables. ENGEL is as a single brand the world's biggest producer of injection moulding machines. MELITEK is an independent privately owned Danish company specialising in compounds dedicated for healthcare in such applications as pharmaceutical primary packaging and medical devices. Redefining the Limits of Extrusion Technology: Founded in 1989, Microspec Corporation has a global reputation for extruding some of the smallest, most complex medical tubing in the industry, with some of the tightest tolerances. At Viant, we provide end-to-end solutions for medical device OEMs. 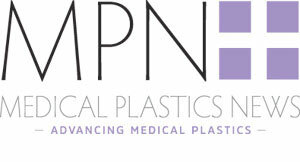 Our deep materials expertise across plastics─from thermoplastics to elastomers─allows us to reliably and efficiently bring our customers’ medical technology solutions to market. Repsol is one of the largest energy companies worldwide and one of the biggest private oil and gas companies. Carclo Technical Plastics specializes in injection molding and contract manufacturing services for medical and optics applications.